These lovely ladies were my bridesmaids. Look at how happy and toasty they are in their furs, coats, woollens and tights. It was 4 degrees outside and there wasn't a goose bump in sight. This is because they weren't dressed in summery cocktail dresses and strappy heels. Bridesmaid dresses are, by definition, floaty, summery things, making life hard for a winter bride. 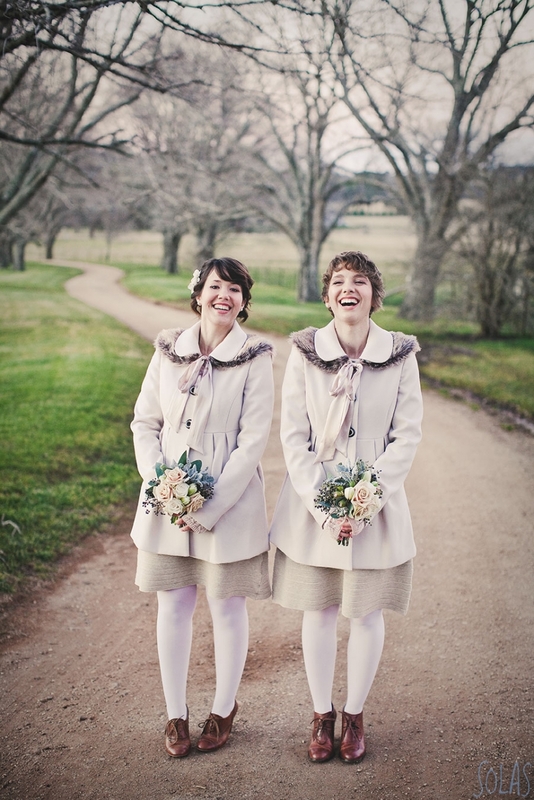 Winter weddings simply aren't catered for, not by the shops or the wedding blogs. A bride brave enough to set her wedding date for winter needs to be brave enough do something different. That's why I decided to get together some winter bridesmaid style inspiration, scroll down and enjoy!